Having been vegan for nearly twelve years, I am a bit shocked that I didn’t hear about Vegandale sooner (thanks lil’ sis Emily for helping me see the light!). 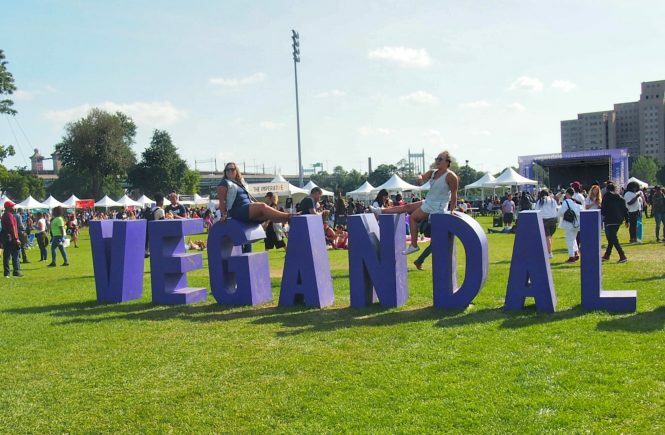 This year, Vegandale took place on the squishy, muddy fields of Randall’s island park, quite a trek but seemingly not a deterrent for intrepid vegans. Getting to the venue was a bit of a hot mess: there were a few signs taped to posts in the parking lot and nobody guiding attendees in the right direction. Randall’s island has several parks, and even by punching in “20 Randall’s Island” in our GPS, it didn’t take us necessarily to the right area. 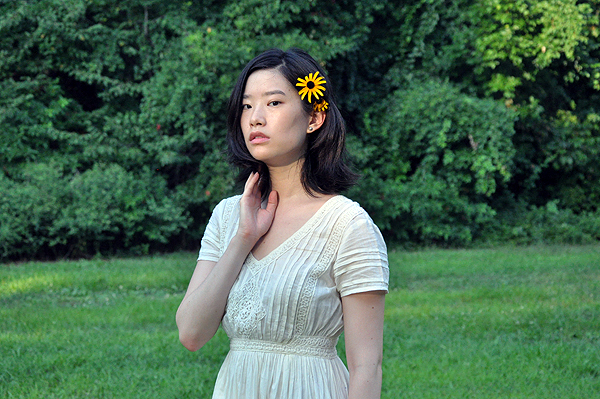 Still, we were finally able to find it by looking for the marching lines of hungry hipsters. Lines were insanely long for this Austin, TX-based vegan food truck. Right off the bat, I headed over to Arlo’s Food Truck’s booth, where my friend Ester had already been waiting in line for forty minutes to give us a leg up (thanks girl!!). 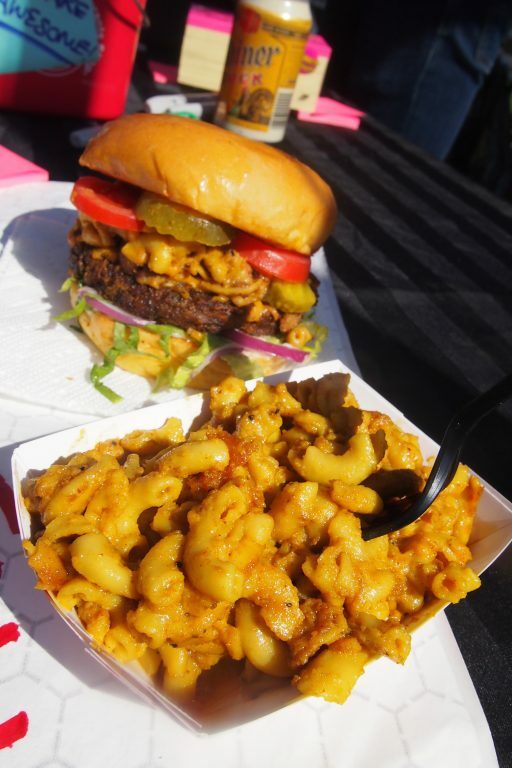 We got the mac + cheese burger ($20) and a side of mac ($5), both of which tasted like greasy goodness (the mac did have a pool of oil at the bottom, but hey, I didn’t come here for a juice cleanse!). 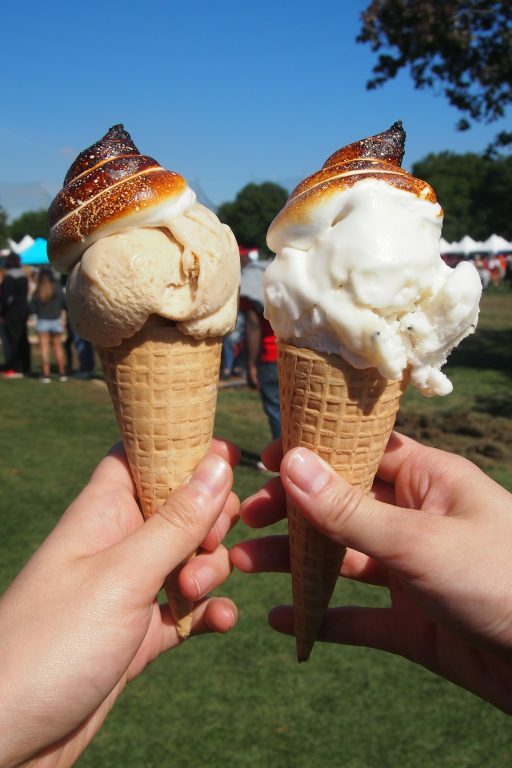 Toasted aquafaba marshmallow fluff really upped the ante on this already delicious cone! We seemed to continue our luck with lines, since we hopped on the Bona Bona line when it was half of what it became later! The demand was legit — Bona Bona doesn’t have an outpost in the city, and their flambeed aquafaba meringue is everything. Emily got the fig apple flavor (sweet and tart) and I got the mango coconut sesame (tasted more like coconut than mango). The ice cream itself was tasty, but the aquafaba fluff with its toasty marshmallow goodness elevated it x100. Good thing I have no idea how to make it, because I’d be gobbling down that fluff every.single.day! Yep. 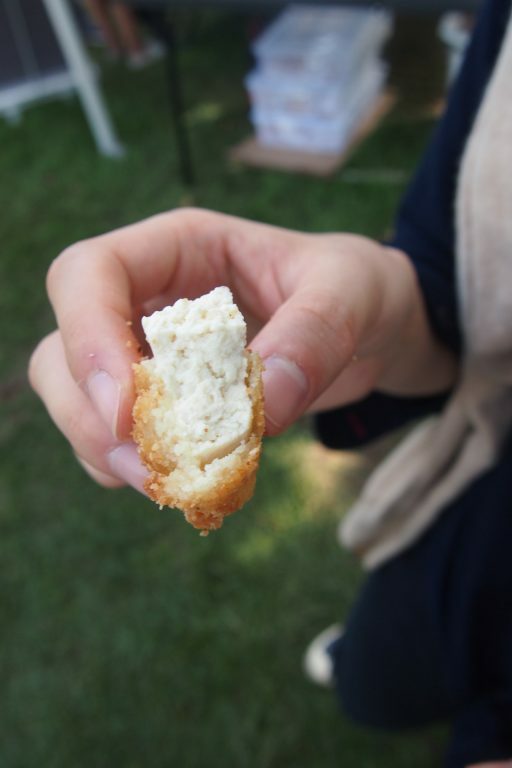 just plain ‘ol tofu peepin’ out at ya! 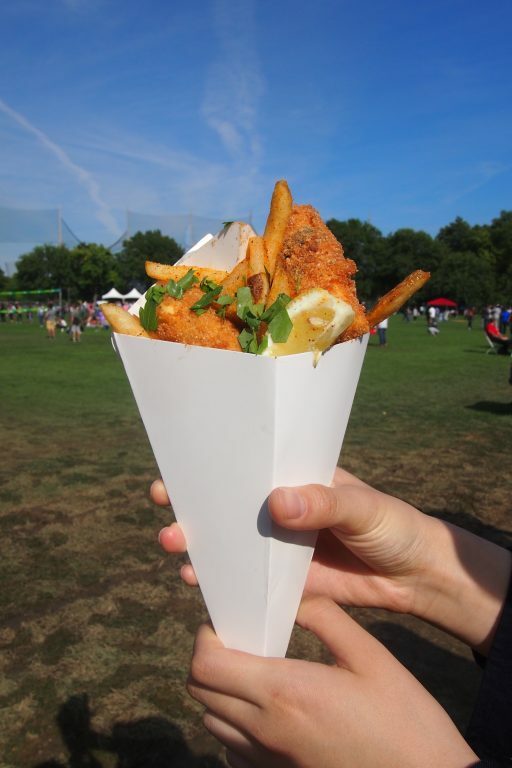 Fish & chips are not a common vegan menu item, so I was excited to try No Bones Beach Club’s take on the classic English dish. 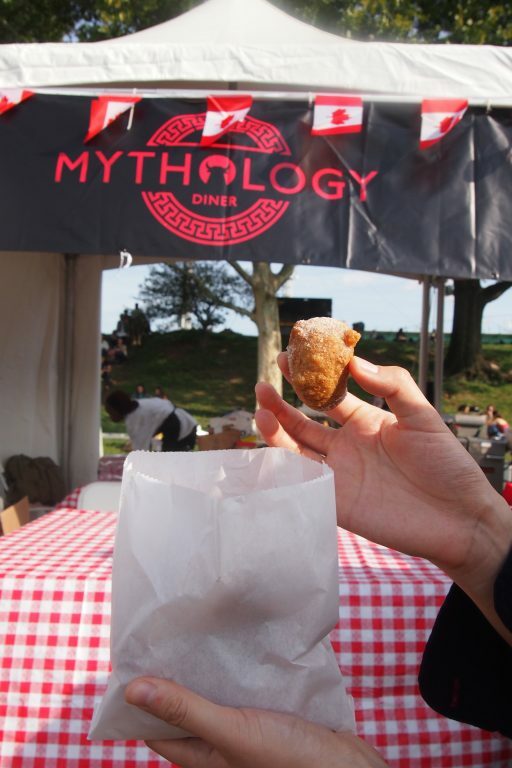 Unfortunately, the $15 cone we received was pretty disappointing, as it was pretty much just breaded, deep fried tofu with some seaweed in it. The donuts kinda reminded me of zeppoles without the powdered sugar. Refreshing and rejuvenating, Emma’s blend had a lighter taste and was less dense than the Berry Mama. 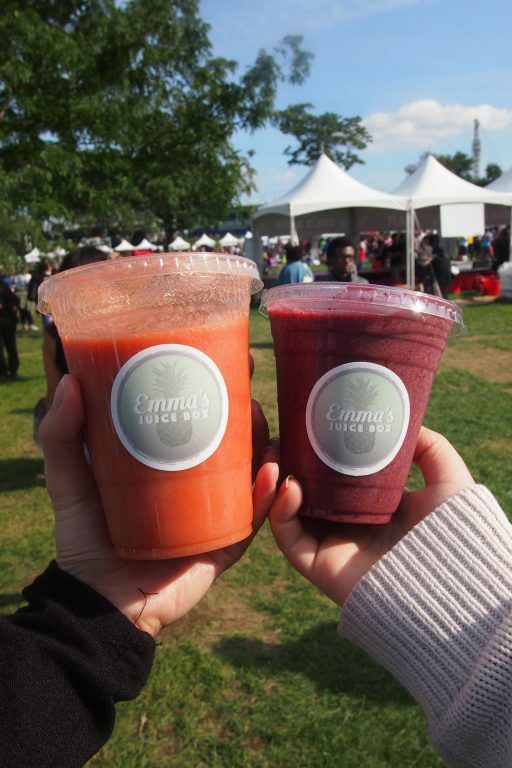 We tried Emma’s Special and Very Berry Mama, both of which were refreshing after munching down so much oily food. It was the perfect send-off to our first experience at Vegandale!